In The White Oak, the first book in the Imperfect Darkness series, Cora Alexander falls through a sinkhole and enters the underworld still alive. Her living presence threatens the tyrannical rule of Minos and the infernal judges who have hijacked the afterlife and rebuilt it, trapping human souls in a mechanical, computer-controlled city that lies at the core of the earth. To survive, Cora must rely on her untrustworthy guide, Minotaur, an artificial intelligence built by Minos. She is helped by a mysterious voice, and by Sybil, underworld librarian and author of each person's book of life. Sybil's collection holds the key to humankind's intertwined life stories. When Cora's own book is destroyed, Sybil gives her a magical golden pen and sends her to the underworld city to write her own destiny. Along the way, Cora finds the ghost of her dead brother, Lucas, a genius programmer who alone is capable of finding the chink in Minos's armor. But will he be able to get Cora out alive, or will they both succumb to the seemingly inescapable underworld trap? The White Oak took me by surprise in the way that Kim White wastes no time in starting the action of the story from the very first page. The beginning of the story also tells me a lot about Cora Alexander and her background story. I see how she feels about her family; her love for her brother and anger at the rest. Telling us about Cora during her descent to the Underworld was a clever way for us to see what she’s all about; the decisions she makes throughout the story, and why she has certain thoughts, are kind of explained right there. I must say that the cover for The White Oak is perfectly fitting. I don’t usually analyze covers in my reviews, but after reading the story and looking the cover over again, I see how much of the story is symbolized. White has created a version of the Underworld that’s familiar, but has much more depth and many differences. The story was descriptive enough that I could envision what Cora’s journey may have looked like, yet White didn’t use too many words to make every scene just seem like she was only describing. 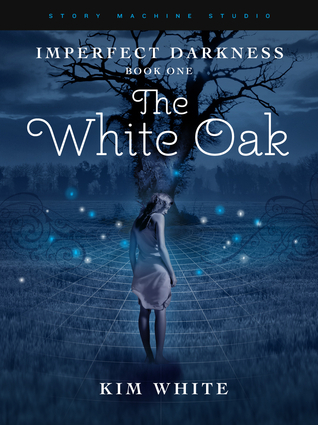 The White Oak is only the first book in the Imperfect Darkness series and sets up the adventure. We meet many major players in the story and the perspectives change infrequently throughout. The changes in perspective show what’s happening at different angles, so it’s hard to pinpoint exactly who the bad guys are and which characters are actually helping Cora. The mysterious voice that Cora always hears is what drew me to read The White Oak. It’s not the center of the story, but it may have the biggest impact on Cora in the coming books and I’m keeping my ears open! Kim White’s debut young adult novel is heaping with fantasy and mythology. The web that Cora stumbles upon is woven with mystery, life, death, and wonder. The White Oak is the beginning of a series in which anything can happen next.